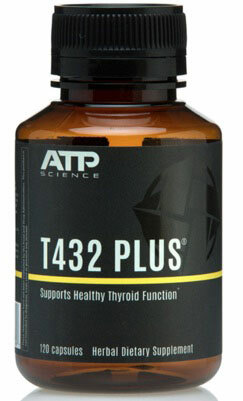 T432 Plus is a weight management product made in Australia by ATP Science. 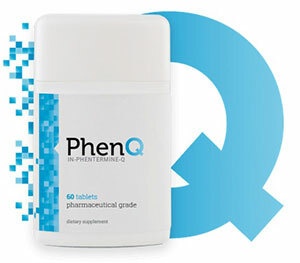 As the name suggests, the formulation is intended to encourage weight loss by boosting thyroid hormone production. Although there is certainly a relationship between the thyroid gland and correct metabolic function, this type of product does not help all. The ATP Science – T432 marketing material on the manufacturer’s website provides a lengthy list of symptoms that may indicate an under active thyroid gland. A few of the symptoms mentioned include dry skin, fatigue, fluid retention, and constipation. The problem is, all of the symptoms listed can be the results of a number of other conditions. What Is ATP Science – T432 Plus and How Does It Work? ATP Science – T432 is a little more complicated than some of the other “T-type” supplements on the market. 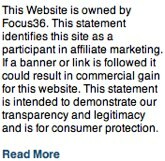 In fact, the official sales page appears to be set up specially to blind potential customers with science. The important thing to remember is, the thyroid gland produces hormones that govern the metabolism. The gland needs a sufficient supply of certain nutrients to do this efficiently. Iodine is one of the most important ones. Although different ingredients can be used to provide it, iodine is used in most diet pills designed to increase thyroid activity. However, an expert evaluation of the relationship between iodine and thyroid functions raises doubts about using iodine supplements. It says iodine deficiency and iodine excess can both increase the risk of thyroid disorders. This being the case, it may be unwise to try and manipulate thyroid function without the correct medical supervision. Although ATP Science makes it very clear what the key ingredients are, they also make it unusually difficult to discover the quantities involved. The picture of the label is not easy to see so it was necessary to download and enlarge it. The formulation also contains six more ingredients, crammed into a (500mg) proprietary blend. Individual inclusion rates are not provided. The marketing material states the formulation also contains black pepper extract and naringenin. The label does not. This does not create a good impression. Chromium is usually added to diet pills because it regulates insulin and may prevent the blood sugar crashes that cause carb cravings. The dose provided here is quite low. Zinc and selenium are believed to support healthy thyroid function. Tyrosine is a more credible ingredient. So is Coleus Forskohlii. Both are considered acceptable supplement options for an underactive thyroid gland. As is Iodine, but supplements of this nature are best used under medical supervision. The rest of the inclusions probably add little value to the formulation. They are all diet pill ingredients though. Guarna is an odd inclusion. It’s a caffeine provider and it would have been nice to know how much is included because there is evidence to suggest caffeine has a negative effect on thyroid health. Usage Instructions – According to the label on the bottle, the dose is two capsules, taken two times per day, alongside food. However, some online stores provide conflicting instructions. The directions on the bottle are the ones that count. There is a lack of reliable customer reviews for this product. The prospect of side effects goes largely unmentioned in the ATP Science – T432 marketing material. However, side effects can never be ruled out when taking formulations of this nature. ATP Science – T432 will not be suitable for women who are pregnant or breastfeeding an infant. People who have pre-existing health problems will need to get a doctors approval prior to using the product. People planning on using it alongside other supplements or medication should do the same. If you wish to do so, you can buy ATP Science – T432 via the manufacturer’s website. It’s also possible to purchase it from most of the popular online stores including Australian Sports Nutrition and The Supplement Stop. However, although ATP Science sell a 30-day supply of pills for around $50, many retailers are asking considerably more. What we have here is a product that’s designed to assist weight loss by improving thyroid hormone production. Yet it contains caffeine and this may have the opposite effect. ATP Science also appears to be a little unsure about what they’ve added to their formulation. If the label is correct it does not contain black pepper extract or naringin. However, if the product information page is correct it does. Should this be the case the formulation has a further flaw because naringin is sometimes alleged to increase the potency of caffeine. The presence of iodine and L-Tyrosine may help the formulation get the job done. However, as stated earlier in this ATP Science – T432 review, too much iodine may actually interfere with thyroid function. If you think you have gained weight due to thyroid problems, the best thing to do is discuss the matter with a doctor. Using a product like this is a chancy way to go. Flawless Keto is a diet pill sold on Amazon and it’s far from being unique. The same formulation is being marketed on the site under a number of different brand names including Keto Pro, Pure Keto Slim, Plant Pure Keto, and QFL Keto. The interesting thing is, all the products come packed in identical purple and white bottles. The only difference is the brand name that appears in the black band that surrounds the top section of the bottle. The same formulation is also being sold elsewhere on the internet under other names and is occasionally marketed via the free-trial promise that is so often linked to automated billing and shipping scams. Thus far we have never come across another product that is being marketed under such a vast array of brand names and although this suggests Flawless Keto may be a private label product, we noticed several versions are being marketed by a company called Fit Rich Lifestyle. Flawless Keto is not one of them but why one company would choose to market the same product under so many names is unclear and this is a very confusing product right from the start. Flawless Keto is designed to help people to lose weight via a process known as ketosis. 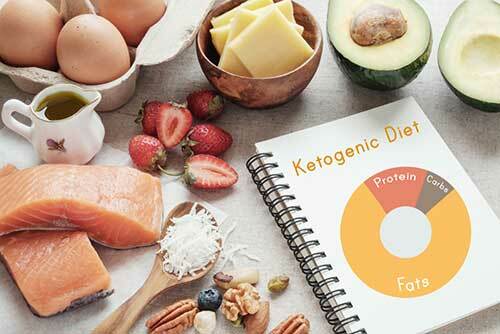 Many people try to bring ketosis into play in a natural way by eating a high-fat diet that provides a reasonable amount of protein and is very low in carbohydrate. This causes the body to stop relying on carbs for energy, begin burning fat, and then start using the ketones that are released as a source of fuel instead. 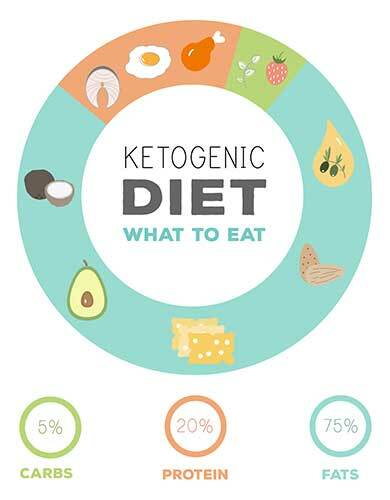 The weight loss-enhancing abilities of this type of “ketogenic diet” have been well researched and the results of more than 20 studies suggest ketogenic dieting can encourage weight loss and help improve the health. Unfortunately, adjusting to this type of diet is difficult and often results in flu-like symptoms that include feelings of weakness, stomach problems, muscle cramps, dizziness, and headaches. “Keto flu” can be quite unpleasant and, bearing in mind the fact that there are so many less troublesome ways to lose weight, it’s hard to understand why anyone would want to bother. However, the Keto Diet remains a popular fad diet and this has encouraged many diet pill manufacturers to come up with formulations that are intended to assist the process. Many of them do so by blocking carb absorption. Flawless Keto does not. It bypasses the need to reduce carbs by pumping the body full of extra ketones. Each two-capsule dose contains 800mgs of a proprietary blend. Some studies show the use of supplements that provide BHB can elevate the amount of ketones circulating in the blood. This form of ketosis may result in improved athletic ability and elevated energy levels, but there is no human-based research to suggest orally-taken BHB can encourage weight loss. The alleged improvements to mental clarity are also questionable and research published in the journal Frontiers in Psychiatry suggests the value ketones offer on a psychiatric level remains unclear. How to Use – The recommended dose is two pills per day, taken together. People who are already receiving treatment for a pre-existing medical condition are warned to obtain the advice of a healthcare professional before commencing use of the product. The same advice is offered to women who are pregnant or nursing a child. Although some customers state the formulation can be hard on the stomach, high blood pressure is the most commonly reported side effect. As mentioned earlier on in this review, this product appears to be sold under a number of different names. Some versions have a dedicated website to promote their sale, but Flawless Keto is one of many options that seem to be exclusive to Amazon.com. A 60-day money back guarantee is promised. However, customer reviews suggest obtaining a refund may be a pretty difficult thing to do. This a product that may be good for boosting energy levels, but the formulation is unlikely to provide an awful lot of benefit as a weight loss aid. Though it may offer slightly more potential if it’s used in conjunction with the Keto Diet. However, customer reviews suggest the formulation does not pack much of a punch. Flawless Keto does not compare well to any of the top weight loss products, none of which have a reputation for raising the blood pressure, so anyone who is looking for a good product to provide safe and effective weight loss would be better off choosing one of those instead.